Looking for a fun way to experience the beauty of North America’s Atlantic coast? Try the two nation vacation from Maine in the US to New Brunswick in Canada for scenic seascapes (and some world-class seafood). It’s also a family-friendly eco-escape that will introduce you to the natural Northeast. If eating lobster along the pristine shores hasn’t already convinced you, be sure to check out some of the great collections of the Northeast’s maritime history and geological wonders while on vacation. And, while you could hop on a plane and travel to each destination, why not plan a road trip? To make things easier, I’ve put together a simple itinerary with some of my favorite destinations along the way. Beginning in Bangor, Maine and ending in Saint John, New Brunswick this trip follows the Atlantic coast up through some of the Northeast’s most picturesque sea ports. Proud of its logging history, Bangor sports a 31-foot-tall statue of the fabled lumberjack, Paul Bunyan. For a more historic glimpse into the city’s lumber history, be sure to check out the Leonard’s Mills Historical Site, Maine’s Forest and Logging Museum. Similar to Plymouth Plantation, the Leonard’s Mill Historical Site allows guests to step back into the 1790s and visit the “living history” replication of a sawmill and logging village. Need a discount rental car for your Maine road trip to New Brunswick? Complete with a full cast of villagers, blacksmiths, basket-makers, and other craftsmen, the Leonard’s Mill Historical Site offers plenty of fun activities for children. So spend a day dipping candles as a family, or take a ride on the horse-drawn wagon through the woods. Motor enthusiasts will love Bangor’s Cole Land Transportation Museum. With over 200 antique vehicles, the Cole Land Transportation Museum is the spot to be if you’re looking to see first-generation cars, fire trucks, and the larges collection of snow-removal equipment in the United States. Tommyknockers and More Bus Tour is great for fans of Stephen King looking to get a first-hand glimpse into the locations that inspired the books and provided backdrops for the movies. With knowledgeable guides, this air-conditioned motorcoach bus is a great way to experience some of Maine’s contemporary literary history. Next is Bar Harbor, Maine (a one and a half hours drive from Bangor), a city known for its woodsy take on some of the Gilded Age’s elegance. During the 19th century, this costal community was home to the largest hotel in North America, as well as the grand summer estates built by some of America’s most influential families (Ford, Vanderbilt, Rockefeller, and Astor just to name a few). Today, many of these great houses are now privately operated inns, perfect for families looking for an upscale piece of history in which to spend the night. But there’s more than man-made splendor to this seaside city. 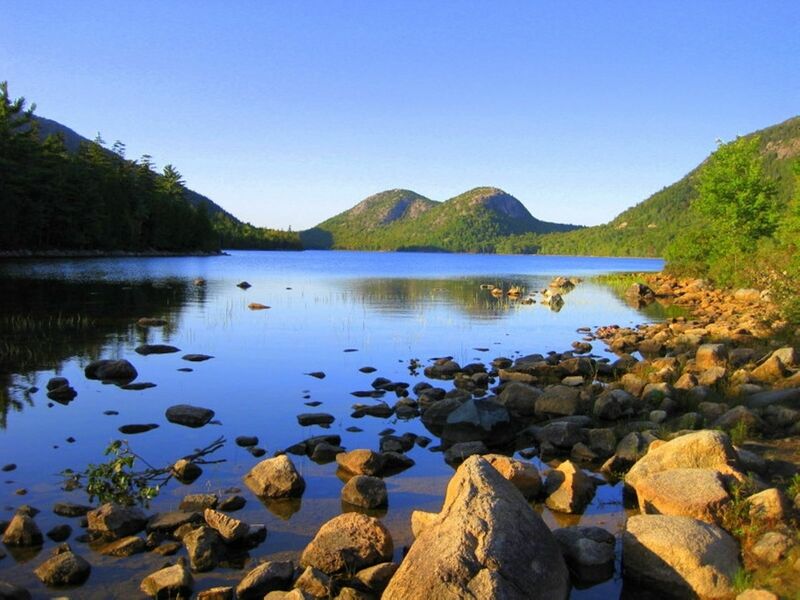 Bar Harbor is just a short distance from Mount Cadillac in Acadia National Park. Standing at a manageable 1,532 feet, Mount Cadillac’s summit is the first place in the United States to see the sunrise. For more fun out in Bar Harbor’s sun, try spending a day on the water. Downeast Windjammer Cruises is a great choice if you’re looking for a relaxing stint on the sea. Lasting 1½ – 2 hours each, cruising sessions are offered to accommodate morning, afternoon, and sunset sails. Visitors can book a trip online for a ride on the Margaret Todd, the original 151-foot four-masted windjammer that was first to sail the New England seas. Bring a picnic and enjoy the wildlife found in Frenchman Bay. Just don’t get too focused on your sandwiches: Bald eagles, seals, and whales might make an appearance! Bar Harbor is also home to some of Maine’s most interesting (if quirky) museums — perfect if you decide to stay for a rainy day. The Wendell Gilly Museum of Bird Carving, the Seal Cove Auto Museum, and the Mount Desert Oceanarium are all great stops to make. Book a family-friendly hotel at a great price for your next Maine to Bangor road trip. Like Bangor, Bar Harbor also offers visitors a glimpse into local history at the Abbe Museum. A contemporary venue, the Abbe Museum offers exhibitions and programs designed to highlight the Native American history of Maine. Three hours away from Bar Harbor, the drive to Campobello Island is a beautiful trip up the final stretch of Maine’s coast. 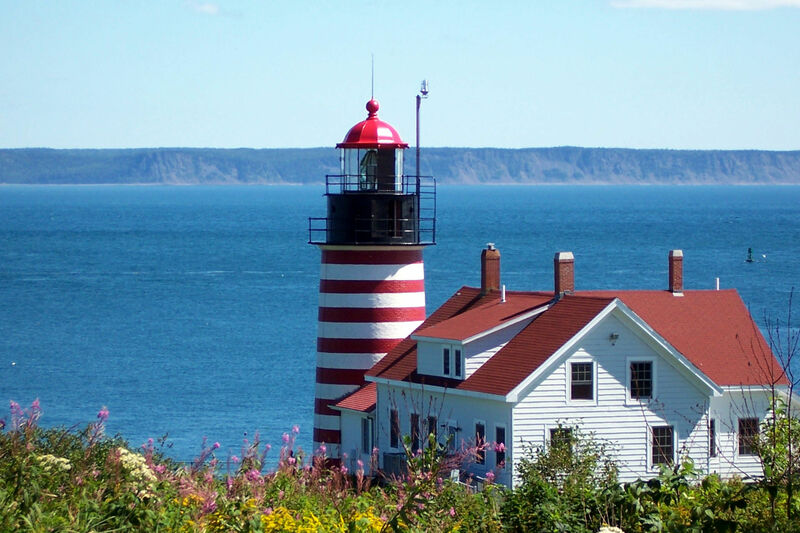 Cross the International Bridge from Lubec to Campobello Island, and — voila! — you’re in Canada. “A mari usque ad mare” … from sea to sea. While on Campobello Island, be sure to stop at the Roosevelt Campobello International Park. A truly two-nation stop, the Roosevelt Campobello International Park was a favorite vacation destination for the United States’ 32nd president: The island was where FDR built his summer home. Today, this 34-room residence is a perfect reminder of the close friendship between Canada and the United States. Along with guided tours of the Roosevelt summer home and estate gardens, guests are invited to wander through the park’s 2,800-acre Natural Area. Complete with and walking trails, beaches, bogs, forests, and an uninterrupted ocean view, a visit the the park is sure to be a refreshing adventure with lots of outdoor fun for the kids. Make a day of the trip and bring along a picnic — the park’s view of the Campobello lighthouse is said to be spectacular. If you’re looking for a place to stay on Campobello Island, The Owen House is a lovely historic destination. Built in 1769, this local inn has nine rooms (both private and shared bathrooms) and offers guests access to cozy sitting rooms and breezy porches with a seaside views. Prices are reasonable, and a full breakfast is served in the dining room. Sitting on 10 peaceful acres of land, there is sure to be plenty of room for your kids to enjoy the fresh air in. 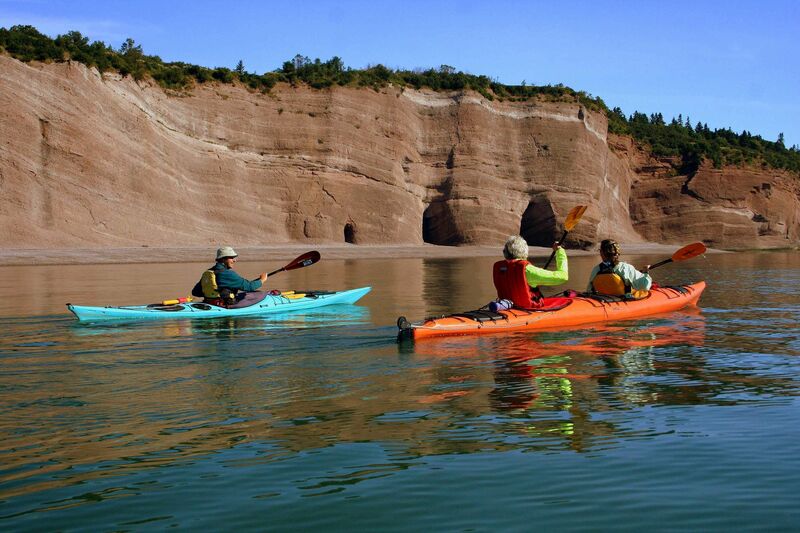 If natural wonders are your thing, then New Brunswick’s Bay of Fundy is a must. Currently, the bay is in the running to become one of the new seven natural wonders of the world. It is, in fact, one of only three entries in North America. So why is the Bay of Fundy special? Well, for one, it is the spot to go if you want to see the highest tide in the world — over 50 feet! That’s more that 100 billion tons of water moving in and out of the 170-mile-long bay during each tidal cycle: Enough water to fill the Grand Canyon twice. Along with tidal shifts equal to the height of of a five-story building, the Bay of Fundy is also home to over 12 species of rare and endangered whales. From Campobello Island, it’s just a two-hour drive to St. Andrews By-the-Sea. But don’t make the trip too quickly! You’ll be driving along the coast of the Bay of Fundy, so be sure to take some time to watch the tides go in and out. Excited about Canada’s whale watching? St. Andrews By-the-Sea offers great tours that will get you up-close and personal with the Finback, Minke, and Humpback whales that make the Bay of Fundy their summer home. For a fun day on the water, we recommend Fundy Tide Runners and their 24-foot Zodiac Hurricane. The offer four two-hour trips daily (weather permitting) during the whale watching season and two trips daily during the off season (May and October). While discounted prices are available during the off season, guests are more likely to spot a whale when booking an on-season trip. Age restrictions do apply; all passengers must be 5 years or older. The maximum number of passengers per trip is 12, and the minimum is six. And if you’re on a family vacation, be sure to ask about Fundy Tide Runner’s 10% family discount for two adults and two children. Reservations are strongly recommended, so be sure to call ahead. Guests are also asked to arrive at the dock 45 minutes before their departure. Ministers Island is another great location for outdoor family fun, with summer tours from May until October. Here, visitors can tour the home of Sir William Van Horne, the man who built the Canadian Pacific Railway. Tours are guided and last approximately two hours. Getting to the island is a truly unique experience: During low tide, guests can drive to the island across the ocean floor. For families looking for some summer exercise, however, we recommend the Off-Kilter bike group — a biking tour company in sporting tartan. Yes, they are known for guides biking in sports kilts. For a quick trip, try the two-hour guided bike tour (bike rental and end-of-the-ride coffee included in the fee). For a longer excursion, ask about the four-hour guided trip, a journey which includes bike rental, lunch, and snacks. And if you’re feeling truly adventurous, the Off-Kilter company offers a Weekend Warrior Epic Tour. Not for the faint of heart, this trip is packed full of activities and includes accommodations, bike rental, bike orientation, lunch, swimming, kayaking, breakfast, a second lunch, and a ferry ride to and from Grand Manan Island. For some rainy day aquatic fun, be sure to check out the Huntsman Aquarium. And garden enthusiasts will love St. Andrews By-the-Sea’s Kingbrae Garden, one of Canada’s top 10 public gardens. St. John offers a relaxing end to this 10-day, two-nation excursion. Families visiting should be sure to check out the uptown historic district. The oldest city market in North America, St. John’s City Market, est. 1876, offers guests good food, rich history, and a chance to get a little last-minute shopping done. For outdoor fun, visit the the Stonehammer Geopark, one of the first locations in Canada to be explored by geologists. Here, families can participate in a wide variety of guided outdoor activities. Hikes along the Fundy Trail Parkway travel to different destinations depending on the day of the week — the guided tours are offered Monday to Friday, rain or shine, from July to September. All destinations are great for spotting some of New Brunswick’s wild life. Walks are leisurely, perfect for families traveling with younger children, and the two-hour tour is a bargain. For families with teens, the guided kayak tours offered at by Eastern Outdoors are a great idea. No prior kayaking experience is necessary, and trips can be booked for half, full, or multi-day treks. If desired, meals can be arranged and families planning a multi-day adventure can arrange to stay at the beach campgrounds in Dipper Harbor. The Reversing Falls Jet Boat Rides are “a must do” in New Brunswick. Here, families with children of all ages can book a one-hour geological boat tour and travel along St. John Harbor’s Reversing Falls. This trip is, perhaps, the best way to see 540 million years of the coast’s rock formations. And the giant tides of the Bay of Fundy offer an exciting way to end the trip. For families of four — two adults and two children 12 years old or younger — be sure to ask about the Reversing Falls Jet Boat Ride’s family package. For some rainy day fun, be sure to check out the New Brunswick Museum for an in-depth look into Canada’s rich art and heritage. And when you’ve seen enough, it’s time to head home. Don’t worry, though, the drive is picturesque. If you don’t have 10 relaxing days to devote to your road trip, don’t worry, this vacation can be done in five. To accommodate a time crunch, pick one activity for each destination and plan on doing just that. You’ll want plenty of time to relax, explore the unexpected, and sample the excellent seafood. Traveling from Canada? Not a problem. Just start your trip at the bottom of this itinerary and work your way up. Altogether, this trip is a 7½ hour, 270-mile journey along the coast — best suited for families with kids school age and older who can participate in all of the outdoor and hiking fun.